Weeeee, second post of the night. I'm on some sort of roll. So yesterday, if you remember- I promised pictures of some of the work I've been doing at school. I'm very luck to have a student teacher who whole heartedly embraces the idea that students need to practice even the most outrageous techniques and happens to be a very gracious guinea pig. 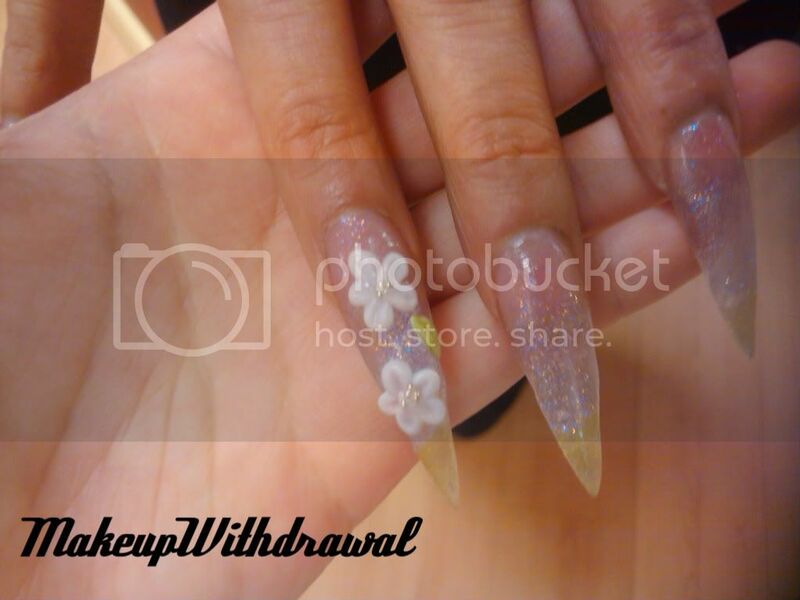 I'd never actually tried sculpting stiletto nails before- heck, I only watched one YouTube video about them and had only a basic grasp of how to form them. The 3D sculpting I had tried a few times, but without much success. For this nail set, I combined the two. These aren't everyday nails, that's for certain! 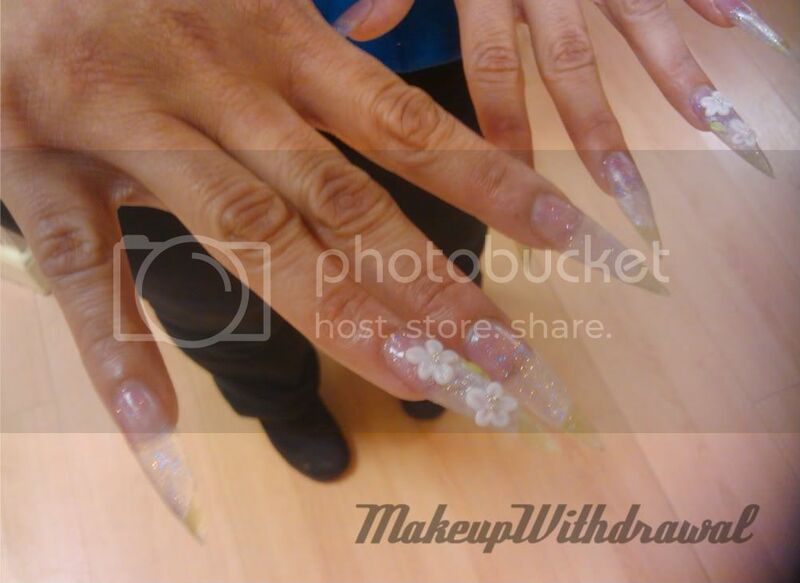 I'd say that these are most definitely fantasy length nails. While I created these nails, we had an animated discussion about how she was going to cut hair, cook, go to bathroom etc- her basic daily tasks. She's somehow dealing with them (what a trooper!) and says that she uses her new pointy talons to poke her husband when she's less than pleased with him. So, I'm really pleased with how it turned out for a first time attempt. Next time around, I hope they're neater, the flora is formed better (and that I can master new 3D designs) and it doesn't take me so darn long to do them (five hours). Yeah, I'm kinda nuts. I really like doing the insane, tacky, over the top nails.